First click once on File explorer (little yellow folder on bottom taskbar) to open it. and then double-click your Local disc C: (3) drive. 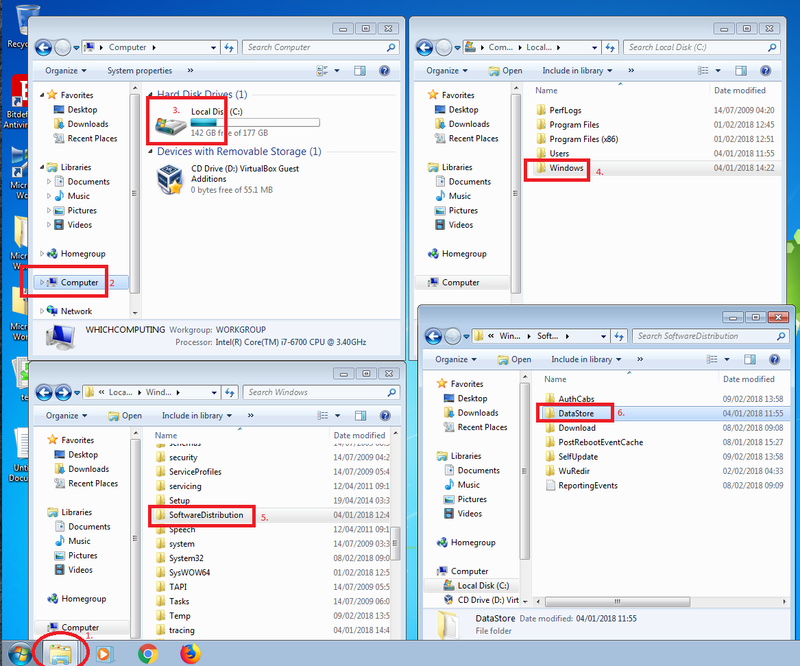 then scroll down to find and double click the Software Distribution (5) folder. and you can double click it to access its content.